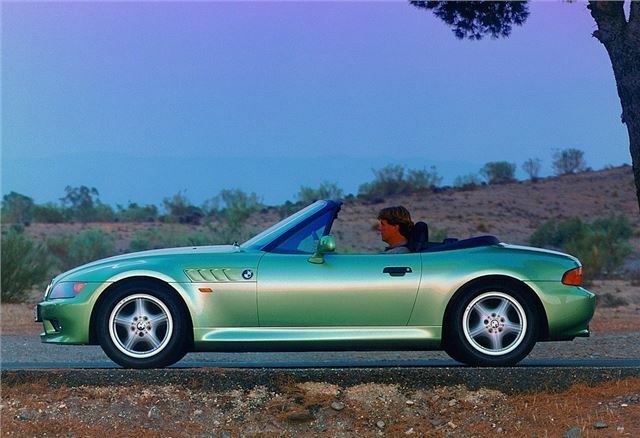 Compared with some of the other roadsters launched in the 1990s, the BMW still has a bit of an image problem. But once you get behind the wheel of the 2000-on 3.0-litre version (pushing out an impressive 228bhp), you’re in for a real treat. This is a seriously quick car (top speed is 149mph, and you’ll hit 60mph in around six seconds), and yet it’s also a great-value one. Prices of the Z3 3.0 start at just 4000-5000 – which is what you might pay for a drastically less powerful MG or Mazda.